It was average of all PRT teams. Average 6904 but minus Milram and Footon who scored quite low it would be 7300. 6 teams scored 7500+ points. Average 7648, minus Saxo-Sungard, 7846. 10 teams scored 7500+. Average 8366. 11 teams scored 7500+. In 2010 the 6th team scored 7800, in 2012 9375. Average 7986. 11 teams scored 7500+. Average 8396. 13 teams scored 7500+. Average 7803. 10 teams scored 7500+, but 7 teams scored 10,000+. Just some statistics, I'm not sure if the budget should be bigger, we all have to work with the same budget anyway. Pardon the late update; I'm on vacation for a week and in transit the last 3 days. I don't have time to do a whole writeup, but this week's update will be up in the next 24 hours. Season is winding down, but small spoiler - the green jersey competition got unexpectedly exciting at the top this week! And then that's it; Tour of Taihu Lake is over that last week, and there will be few scorers and fewer points on offer. Note that I'm combining the last two weeks into one update, because barely anyone has riders left at that point and last year there were not even 15 teams scoring at Taihu Lake, so scoring for the green jersey would be even more heavily skewed. So the leaderboard is all but decided, but the ceremonial ending to the game will be on November 9th, when the CQ season is well and truly over. I've been debating some rule changes next year, and will post about those in the next two weeks in this thread to get some feedback. Then after the game closes, I'll take a few weeks to figure out any changes for next year and start that thread soon after the end of this game; I'm aiming for mid-to-late November, with the usual deadline of early January. Appropriately, the juggernaut team of Cykeltyven squeaks out top honours for the month, showing that a strong finish on top of a solid season is a great thing in this game. Obviously, Cykeltyven is on top overall, but other teams have used a good September to their advantage as well, as several of the teams listed above have moved into the top 30 or so overall. snccdcno is in a solid 3rd, and Yellow Knight is knocking on the door of the top 10. No question on this one - Jpettersen had a great month. Their team has moved from 73rd to 20th in a month; only outscored by 20 points by Cykeltyven, who obviously ran out of space to move up the leaderboard, Jpettersen makes a huge move this month. The next batch of teams all are finishing strongly and moving into the top half of the table. That's it for now - update 40 to follow in the next day. We are almost at the end of things, friends. The World Tour is over, the obvious wish to replace Beijing as the exotic end-of-season race - Abu Dhabi Tour - is over and was only 2.1 so it didn't give too many points, and Paris-Tours is done, the last race with that much prestige. With the closing of the European season, we are left with a few drops to clean up in the form of the Japan Cup, and a few races in China. The rules of the game states that the game formally finishes after the last .1 race or higher, which is the Tour of Taihu Lake ending the first week of November. Those who just want to see end-of-season breakdowns, come back then. But I'll keep putting out a few updates (as outlined in my post yesterday) until then. Let's get to this week, shall we? Not a misprint - Zam Olyas' all-Italian team takes it's second week in a row, and third week out of the last 4! THAT is the payoff for picking a specialized team, and it only works at times like this - the concentration of Italian races around Lombardia, or the Australian summer races if you have a team of all Australians, something like that. This week for Zam, Colbrelli and Trentin took two of the 1.HC races, and Viviani, Cunego, Ferrari and Brambilla pitched in some handy points as well. Second place Leadbelly gets points from entirely different sources, with almost-unique pick (2 teams) Eduard Prades scoring 182 of his 282 season points this week, and Chaves scoring a bunch for their team as well. Third place martybart rides Chaves/Bakelants/Brajkovic/Haussler and others to a successful week. I'm feeling like this week will likely be the last with significant movement, and there are several teams moving up over ten places. First on the week goes to Panda Claws (or "Panda Claws**" if you prefer), with a move up 17 places to 71st overall. I mentioned last week that Zam's team had incredibly scored 135 points with only 3 weeks being in the top 15 overall, ie. their team had only ever shown up to win. Well, this week makes that even more pronounced - Zam is now in 2nd place in the Green Jersey competition, with 4 weekly wins x 45 points = 180 points. Yowza! Yellow Knight also scored 10 points to move within 8 of the lead, and even with no points, snccdcno is well within striking distance of Roude_Leiw's 183. The end of the season is a roll of the dice, with most of the big guns ending their seasons already, so it's going to be a team with the more quirky picks that gets some points. We shall see how it turns up - note in my previous post that I'm counting the last 2 weeks as a single week, so there are 3 more weeks to score basically. On a sidenote, it's pleasing to see a mix of teams at the top, including Roude Leiw (who is not at the top of the overall), Zam (who is second from the bottom), and then 2 of the top 10 overall in 3rd and 4th. This competition was introduced with the hopes that it would add some excitement aside from the GC, so I'm glad it's happening. You can perhaps see by the low weekly point totals - many of them in the double instead of triple digits - that there is not much shakeup this week in the overall. Cykeltyven pads their lead by 90 more points for good measure, and has but a few ceremonial weekly laps to ride before the coronation on the Champs Elysees in early November. There is some trading of spots lower down in the top 10, and Yellow Knight surges impressively into the top 10 as well as Greenedge, while GP Blanco and karaev slide out. January leader trackstand comes back into the top 20 at the end of the year, and the popularity teams would be ranked 13th (team with Rodriguez) and 19th (team with Froome). But the overall podium is all but done. Much like a long GT, most is decided but the points competition and the minor placings; stay tuned! Thanks for digging up the info, Flo. I'm gonna bring that info up in a couple of weeks when I start discussion on next year. I feel like deciding on 7500-8000 is relatively arbitrary, as the scores have been fluctuating obviously. Consistency is nice, but change is sometimes nice too. I'll think on how to start that discussion and do it soon (probably during Hainan, as not much else is going on). This week saw the last races in Europe and the mostly-last races in Asia before everything shuts down for a bit. In the CQ game this is traditionally a time for surprises, little-picked and little-known riders getting lots of points in races with no competition, and the vast majority of riders scoring zero more points as their seasons are done. This week, that tradition continued with the weekly leaderboard a mix of known and unknown riders. Nicolas Marini, who I've literally never thought about before this update, got a haul of 155 points from the Tour of China II. His seasonal total of 228 off of an 8 point cost is bound to make his owners happy. Better-known but little-picked riders Bauke Mollema (140 points for the win in Japan; picked by 2 teams) and Diego Ulissi (84 points for 2nd in Japan picked by 4 teams) also show up in the top weekly teams. However, indicative of the end of the season, only 3 teams scored over 200 points and 21 teams scored over 100.
nuvolablu takes a late-season win! Their team had the aforementioned Ulissi and Marini. MADRAZO (who cements a place in the top 20 overall) and fauniera complete the weekly podium. As befitting the end of the season and dearth of points, there was only soft movement up and down the standings. Netserk and Maaaaaaaarten come out on top, moving up to 35th and 67th overall respectively. Only minor movement, no one in or out of the top 10. Leader Cykeltyven gets no points at all this week, but still has a 600 point cushion so no sweat. MADRAZO is the only team in the top 20 to move up or down more than one place, moving up 2 to 15th overall. does Zam have Modolo ? Tabriz were down for Taihu, but were a no-show, so I think it's safe to do my end of season round up now. Benoot and Kump were the real point scoring stars with big returns. Megias was just missing out on the win at the US Pro to complete his season, but I had fun following him and Novo Nordisk. The same goes for Cruz - only a 53% return, but it got me interested in Inteja and their calendar. Some real stinkers in here. Difficult to pick who was the worst between Betancur, Bauhaus, M. Kreder and Nerz. Even though Diaz was a 462% return he still makes this list as he did jack for all of the season bar one race. I only picked him as I though he would be racing a fuller season with Funvic, as it turned out he "rode" a fuller season, but he certainy didn't "race" it. in case you haven't been to CQ's main page, they haven't put out a weekly update since I made my last one (18th of October). I had intended on doing one last week, then doing a final one after Taihu Lake, which ends this week. But, assuming one is forthcoming, I'll have to just do one more to wrap up the year. I meant to touch base about this earlier, but upon returning from a trip I had a death in the family, which of course put this game at the back of my mind. I'm going to try to contact CQ to see if there's another download coming, and I'll keep you guys posted. In the meantime, I hope to get out a post in the next few days talking about some ideas for next year. Stay tuned! CQ's post-Taihu Lake update is out! I'll be doing the season-ending wrap-up tomorrow, and then a bit later in the week I'll start some discussion about next year. Almost time to wrap it up, guys! Well, it's been a long season since we started back at the Australian nationals. Normally in this game, things kind of run out of steam at the end of the season as the ProTour teams pack up, and minor/unexpected riders pick up the points in Hainan and Taihu Lake. This year, both races had a few more top level teams (Hainan had 3PT/5PCT vs. 3PT/3PCT last year, and Taihu had 2PCT vs. none last year), which translated to a few more teams scoring points in the CQ game. Certainly, a good number of seasons were finished before the last 3 weeks of these races, but 61 CQ teams scored points in these races, and 24 teams scored over 100 points. As the competition in these races still isn't very robust, what that tended to mean was that a few high-level riders got a ton of points. Sacha Modolo won Hainan with 295 points, and Jakub Mareczko dominated Taihu Lake, scoring 356 points and making his initial cost of 15 points worth a lot more than the 93 points he had scored up to this point of the season. Sixteen teams had Mareczko; eight had Modolo; three had both. Of those three, nuvolablu distinguishes themselves from Fauniera and CrazZyCaLL by getting 5 'top 50' finishing points from Iuri Filosi in Hainan. Other top teams were some combo of the two 'big' riders of the week, as well as Francisco Mancebo (45 points) and Fabio Silvestre (25 points). Impressive weekly points totals, but mostly on the backs of two riders. When you get a bunch of points and most other teams score a big fat zero, you're gonna move up in the standings. nuvolablu moves up a whopping 34 spots to a respectable 43rd place overall, while CraZyCaLL cracks the top 100 and hilltopfinisher cracks the top 50. The original champ, ingsve, moves up 16 spots in this final update to an impressive 24th overall. Okay, this 'month' actually included the first week of November too, but close enough. nuvolablu's dominance this week is not enough to overcome Zam's impressive October run from his all-Italian team. Not dissimilar from other results, nuvolablu's team is by far the highest mover of the month. Tied for third is fauniera's team, which had an epic month, as you will see from the remaining sections of this update. RoudeLeiw gets pipped at the line! While recent updates focused on Zam's meteoric rise, perhaps we should have paid more attention to the stealthy rise of fauniera. Third place in weeks 38 and 41, tied for 2nd this week (week 42), and tied for 15th in week 40, that's over 90 points in 4 of the last 5 updates. The 32.5 points this week (tied teams split the difference between the places they're tied for) takes fauniera from outside the top 10 to the top spot overall. Kjellus (14 points) and Ruvu75 (22 points) both score this week, moving them into the top 10 as well. The rest of the top 10 holds on from their previous points. Congratulations to fauniera on winning the inagural points competition of the CQ Ranking game! I believe I said in a recent update that the podium was all but locked up; that held true for the top two spots, but third came down to a matter of inches! Kjellus rode Mareczko's success to within ten points of the bronze medal spot, but snccdcno got 115 points of their own from Julian El Fares to hold on. But there is some significant movement in the top 10 as PeterB moves into the top 5, and fauniera has a crazy last-minute jump of 9 spots into the top 10! fauniera started October in 36th place and ended in the top 10, showing that it ain't over until it's over. This crazy run somewhat overshadows MADRAZO's own impressive 5-spot leap into the top 10. Their move up comes at the expense of greenedge and Yellow Knight, who fall out in the final standings. Congratulations to our winner, Cykeltyven! Their team had all the right popular picks (except they did also pick Betancur, showing that nobody can have a perfect team), and their rarest picks turned out to be their aces in the hole, making them count. Landa (picked by 3 teams) and Rosa (picked by 7) turned Cykeltyven a return of 1474 points on an investment of 366 between the two of them. With top-level production from Rodriguez, Cav, Boasson Hagen, Chaves, Porte, Ewan and Henao, it was a winning combination. Cykeltyven also finished 2nd last year, meaning their team (along with team skidmark) becomes the first to podium twice in this game. An impressive run, indeed! We will see what next year has in store. Thanks to all who played! It was a fun year. In the next few days I'm keen on starting to talk about next year's game, maybe after I have a post or two breaking down my own team's performance. You're all welcome to join in on either of those topics. just want to talk about a few things for next year (I meant to get this out last week, but I've had a few life interventions). I have a request for feedback, preceded by some feedback of my own. First, I'm going to make a new rule on the deadline for submissions. The last two years, there has been consistent and heated debate at the start of the season about whether or not to allow teams after the 'official' deadline. I don't want to address this on an ad hoc basis anymore; I also want this game to be inclusive to all who want to participate and make a reasonable effort to do so. As such, I'm going to have a submission deadline and a revision deadline that are 24 hours apart. The submission deadline will be when you are required to submit a team; the revision deadline will be to allow for changes to teams that have double riders, are over the limit, etc. This will allow me to more thoroughly check over the teams to ensure that they are compliant, and allow a window to correct honest mistakes. This game has operated under the principle of 'you are responsible for any mistakes in your team', and that still holds true; it is difficult to catch all the errors (case in point: nobody noticed until the game was over in mid-November that there was a space after the name of a zero-pointer in one of the top ten teams). But having 24 hours to look over the teams will allow me to be a bit more proactive and thorough about it, and not be entering teams until the last minute and feeling pressure to publish the spreadsheet. A byproduct of this will be that if you are unexpectedly without internet access, or misread the time zone difference and submitted your team a few hours after the submission deadline, I can still accept those teams without fear that they've been given an advantage by exposing them to other team's picks. Teams submitted in this 'grace period' will not be allowed to make revisions in case of error; if a rider is doubly entered or a team is over the limit, I will simply drop riders until the team is compliant. Teams will NOT be accepted after the revision deadline, period. Our self-imposed 'publication ban' of our own teams on the game thread will be lifted at the revision deadline. Hopefully that will satisfactorily solve this contentious topic. Last year, I was strongly considering changing it to 8000 given the upward trend in recent years. Two things make me consider it less strongly this year: 1) the trend went back down this year, and 2) future revisions to the PT, which may or may not happen, would reduce riders on a team and likely have the same effect on scores, so changing it back in a year is a possibility; all things equal, it might be easier just to keep it the same. Anyway, I'm open to feedback. Let me know by December 1st if you have strong feelings either way. If there's a clear majority, I'll go with it, but if it's not clear, I'll just make the call to my best judgement. Thanks! Oh, and I intend to get next year's game thread up by about December 10th. Thanks for all the hard work btw Skids. I usually "like" a post rather than writing a thanks, but you (and the other weekly up-daters and MC and Armchair) deserve an end of year pat on the back. 7500 is fine by me. So, confirmation that the game is 7500 points. 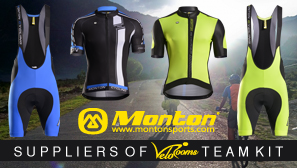 All other main elements will remain the same too; the green jersey competition was a success this year, I felt, and mc_mountain suggested a similar 'KoM' competition for the team that had the highest cumulative rankings on the 'weekly top movers' standings (get it? best 'climber'? Not bad). Anyway, the new thread for the 2016 game will be up in the next week if all goes to plan; I'm currently travelling, but I should be able to find some time to sit down to it. Here is a link to the finalized standings of this year's game, which could be used for 'official' purposes such as summarizing all the years. The only difference right now between it and update 42 is that I corrected fauniera's entries that had omitted over 100 points from their team, moving them up to 8th overall. If anyone sees any corrections that need to be made to this one, I can update again. Looking forward to Kittel being best climber!